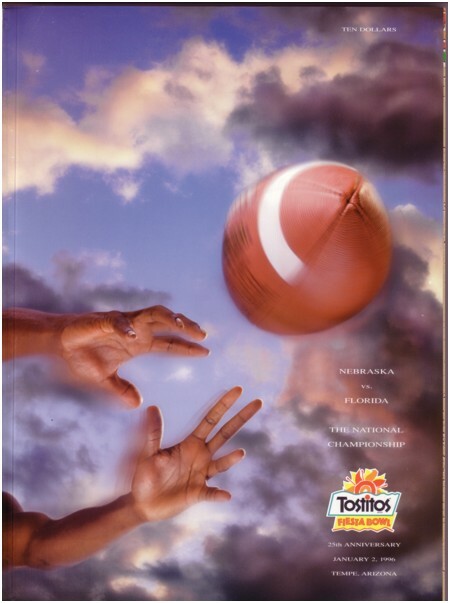 These next three Sports Illustrated issues are special commemorative issues. They do one of these each year for the National Championship team. These are also the issues that they make a leather bound version of. Both this issue and the leather bound issue are only printed once and once their gone, that's it. The three issues I have below commemorate the National Championship teams from 1994, 1995 and 1997. You will be unable to look up any of these issues on the Sports Illustrated cover search page. Believe me, I've tried. For some reason they don't list any special issues. These next two issues are a bit of an enigma. These two issues are neither commemorative issues or regular issues. If you try looking up the Husker Hero issue with Tommy Frazier on the cover, it will pull up an issue with a picture of a Buffalo Bill football player on the cover. This particular issue was only printed and distributed in the Midwest region. The Nebraska #1 Again issue was also a special print. Over time both issues should increase in value. These last four items are official game programs from Nebraska bowl games. 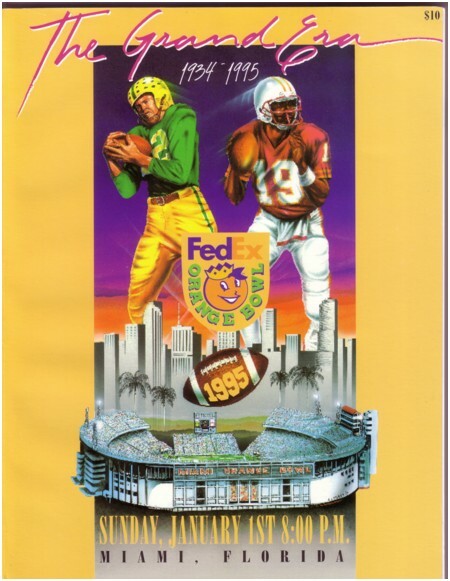 I have the National Championship programs from the 1994, 1995 and 1997 games. 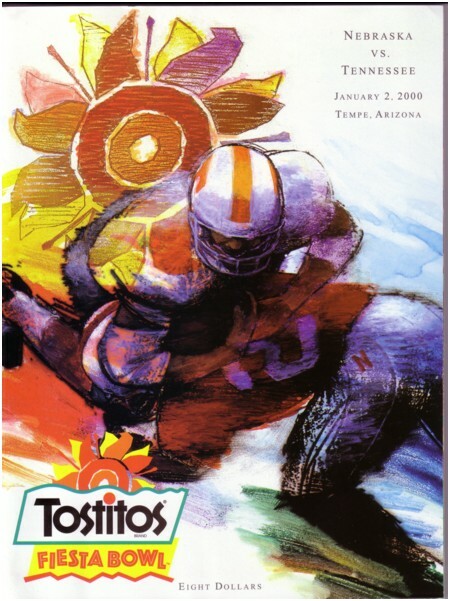 I also have a copy of the 2000 Fiesta Bowl game. 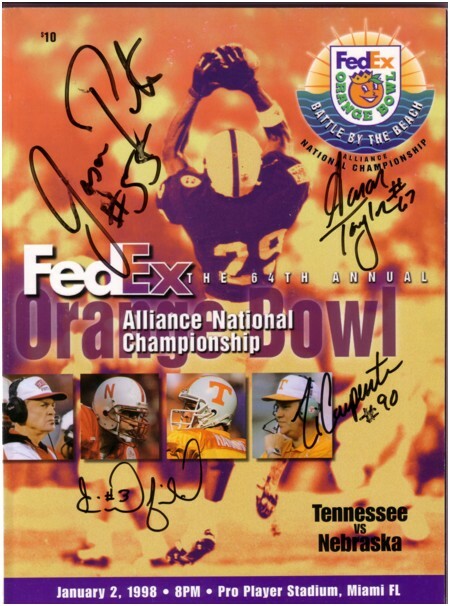 The Orange Bowl program from Nebraska's Championship in 1997 is autographed by #55 Jason Peter, #67 Aaron Taylor, #3 Matt Davison and #90 Tim Carpenter.